As a former sugar junkie I’m still crazy about anything sweet, which could be a reason why I love date paste. 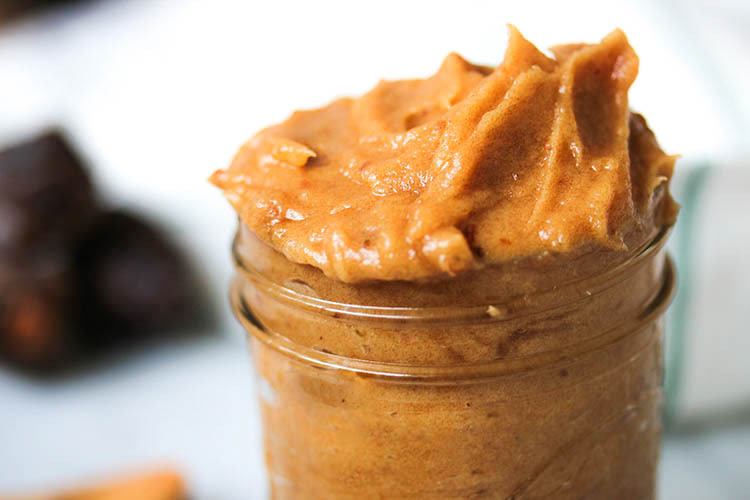 But did you know that date paste is actually really awesome in a plant-based kitchen for many recipes? Date paste or date syrup is truly a favorite and I always have a batch in my fridge. I love dates because of their caramel sweet flavor. You could buy date paste in the store, but to be honest I think it taste a bit weird and unnatural. 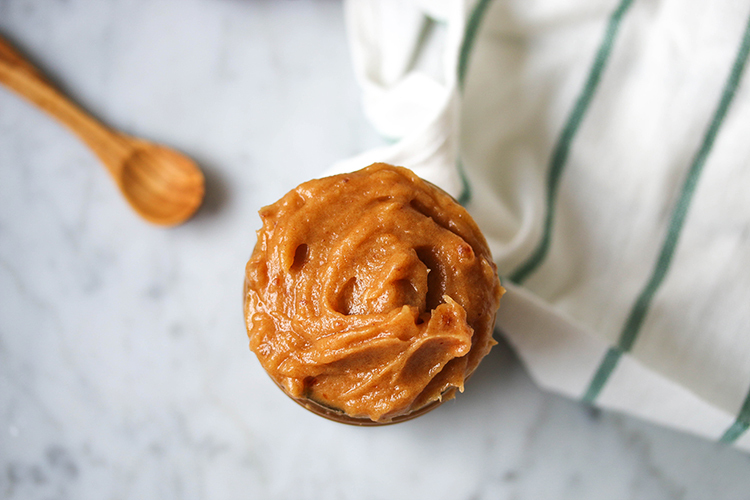 Since it’s so easy to make yourself, I’ll show you today how to make date paste. I always use Medjool dates, these dates are considered the dates with the highest quality. But feel free to use the small, dried dates. 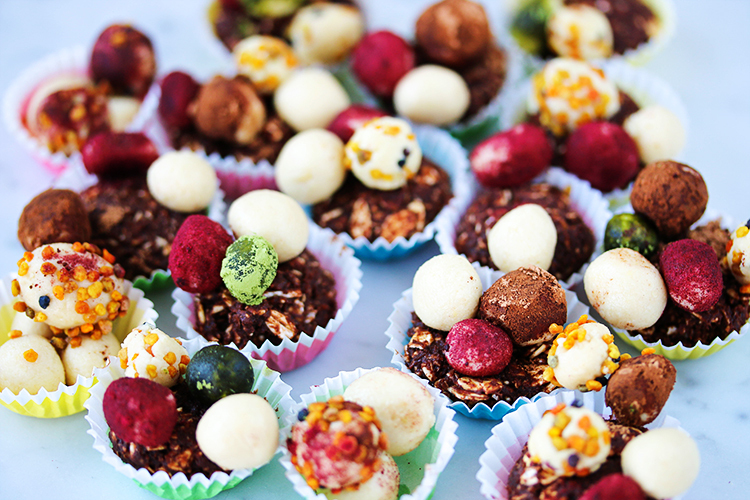 Make sure though that your dates are not sweetened with sugar / glucose-fructose syrup. Regardless the type of dates, I always peel the date under running water. I simply peel the outer layer off the dates. I do this because the skin is very sticky and debris (and added sugars) can easily stick to the date. 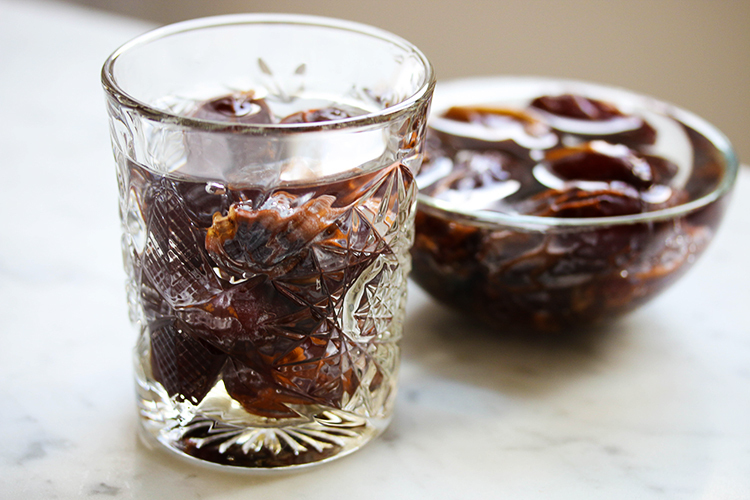 If your dates are very dry or if you don’t have a high powered blender, soaking your dates will help a lot. Place the dates for 30-40 minutes in lukewarm water to soften them up. After that, any blender will be able to blend the dates perfectly. I personally don’t do this every time, but I do have a high speed blender (a Vitamix). The amount of water versus dates will vary. It can depend on how dry your dates are, but I usually start with equal amounts of dates versus water. While blending I might add more water, but I usually never use more than 3 cups of water for 1 cup of dates. When you measure your dates in a cup, I normally use about 13 dates for 1 cup. But again this depends n the type of dates you are using. In grams this will be about 190 grams. And of course, take out the pit first. When you make date paste to bake with and for most other recipes (or to snack), you want to create really smooth but also really thick date paste. This means probabaly less water than you might like to use. So no runny watered down date paste. I usually like to create a date paste as thick as possible but still smooth. My number one tip for blending up the perfect thick and smooth date paste is to turn the blender up to high speed right away. How to use date paste? 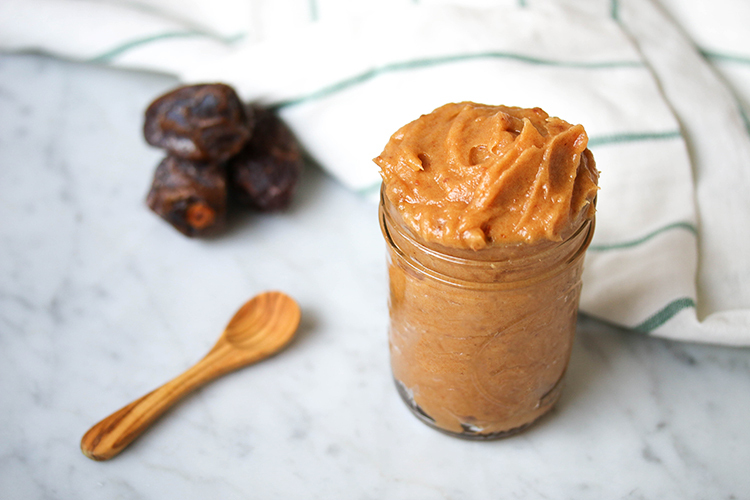 Date paste is easy to make yourself. It hardly takes time and is basically made out of only two ingredients, dates and water. 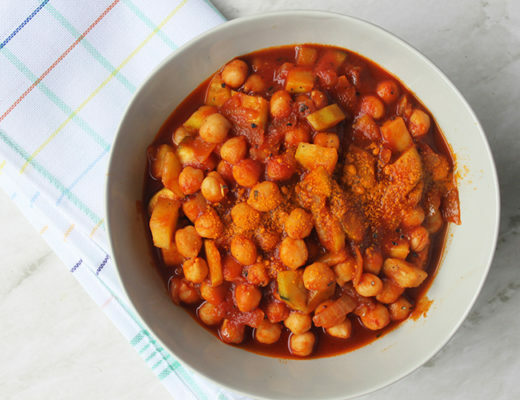 So simple, so delicious and really a perfect substitute for sugar in many recipes! Do you use (or make) date paste? Let me know what you think on Instagram or Facebook. 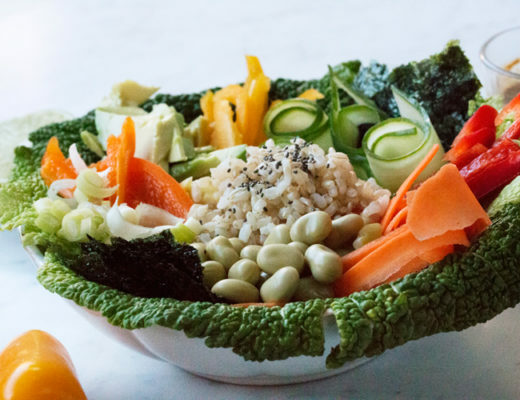 If you make a picture on Instagram don’t forget to tag #thegreencreator since I’m sharing all of your creations now under the highlights ”recipes you love”. The natural fruit-based sweetener made from 2 simple ingredients. Optional: Start by soaking the dates in a bowl with some water. Soak the dates for several hours (or overnight). The longer you soak the dates, the softer they will be and the easier they'll be to blend. If you're using the small hard dates you probably will need more time to soak to soften them. After soaking, remove the pit from the dates (and the skin if you wish), and place the dates with more or less ¼ of the soaking water in a blender or food processor. Puree the dates and water until you have a soft creamy syrup, add more water if it is too thick. Store the date paste in a glass jar. You can keep the date paste in the fridge for about 10 days. 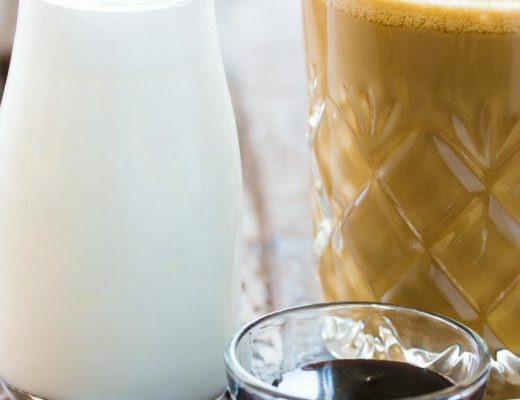 For a full flavor, you can use a vegetable milk instead of water. And a teaspoon of vanilla extract for extra sweetness.